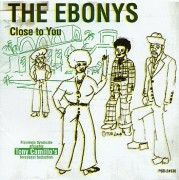 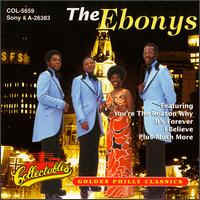 Known for their 'Philly' sound, the Ebonys actually hailed from just across the river in Camden, NJ. 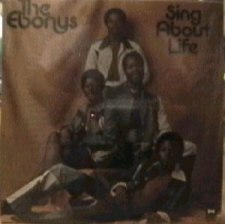 Discovered by Leon Huff, this vocal quartet was formed in 1968 and had their biggest chart hits with "You're The Reason Why" (first hit for Philadelphia International Records), & "It's Forever". 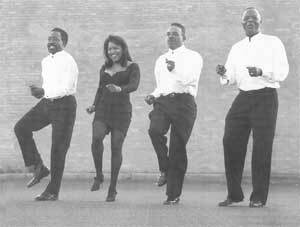 The group comprised of David Beasley, James "Booty" Tuten, Jenny Holmes and Clarence "Jingles" Vaughan. 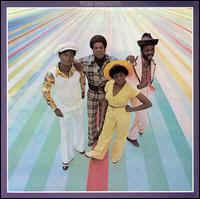 After the group disbanded Jennifer Holmes had some success with Creme D'Cocoa in the late 70's.